Federal Land recently soft-launched Park West, a new condominium development at the New Central Business District of Fort Bonifacio Global City (“The Fort”) in Taguig. 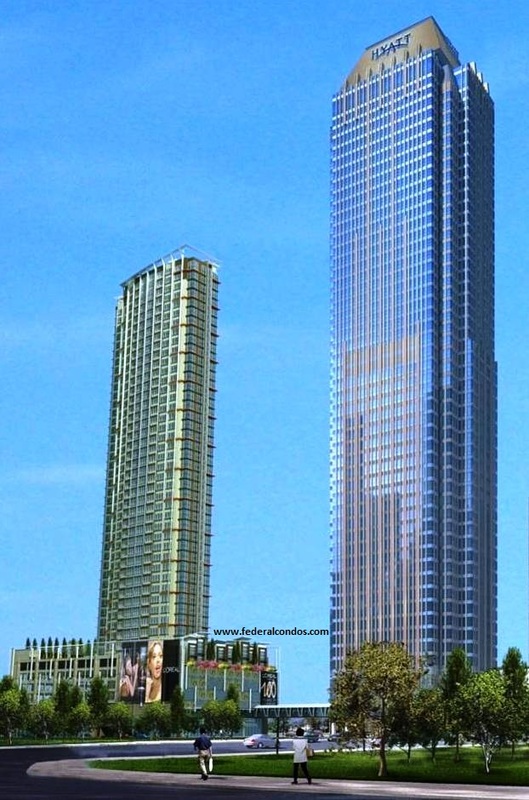 Park West will rise beside the iconic Grand Hyatt Hotel. Park West is inspired by the stunning architecture, grand lobbies, and sublime designs of the Grand Hyatt; it brings you the contemporary elegance of the New York lifestyle. With the Grand Hyatt connected to Park West, your new home reaches new heights and prestige. Unit options in this new condominium project in The Fort ranges from 1-bedroom with 36 sq.m. and 2-bedroom with either 55 sq.m. or 70 sq.m. All units come with balcony to enjoy the view of Global City, Ortigas or Makati Skylines. Prices range from P3.5M to P8.5M. Deferred financing starts at P15,000 per month. For a limited time only, a 3.5% launching discount is available for early buyers. World-class amenities from the convenience of your home at Park West include Infinity Pool, Kiddie Pool, Library and Reading Room, Tiara Room, Gym, Game Room, Reflexology Path walk, Elegant Lobby, Function Room, Changing Room, Outdoor Garden, Al Fresco, Multi-Purpose Room, Jogging Path and Play Area. 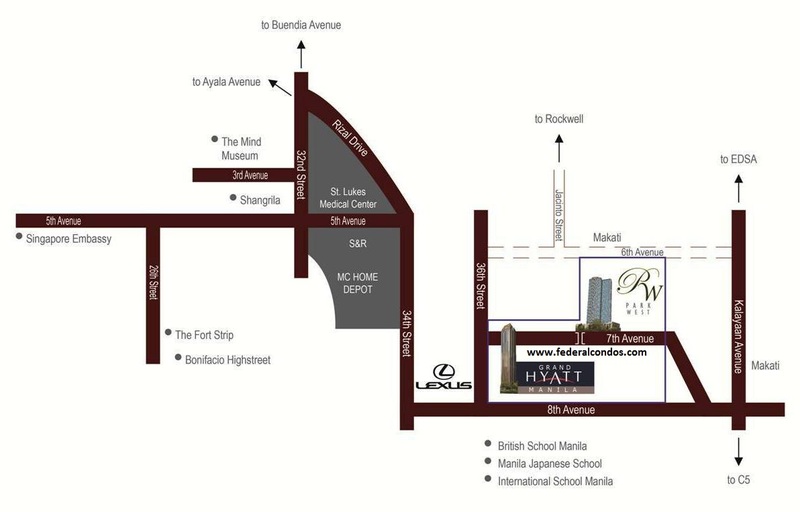 Park West is conveniently located along 7th Avenue in Fort Bonifacio Global City. This new condominium development in Taguig is within close proximity to St. Lukes Medical Center, S&R, MC Home Depot, and premier educational institutions such as British School Manila, Manila Japanese School, and International School Manila. From your home at Park West, you will have access to major highways such as Rizal Drive, 34th Street and Kalayaan Avenue. The 66-story Grand Hyatt was launched early this year and is considered a large-scale landmark development at Fort Bonifacio Global City. It will also become one of the tallest and biggest mixed-used building in the Philippines upon its completion. Grand Hyatt will feature luxury suites, first-class amenities, hotel podium and ballroom. 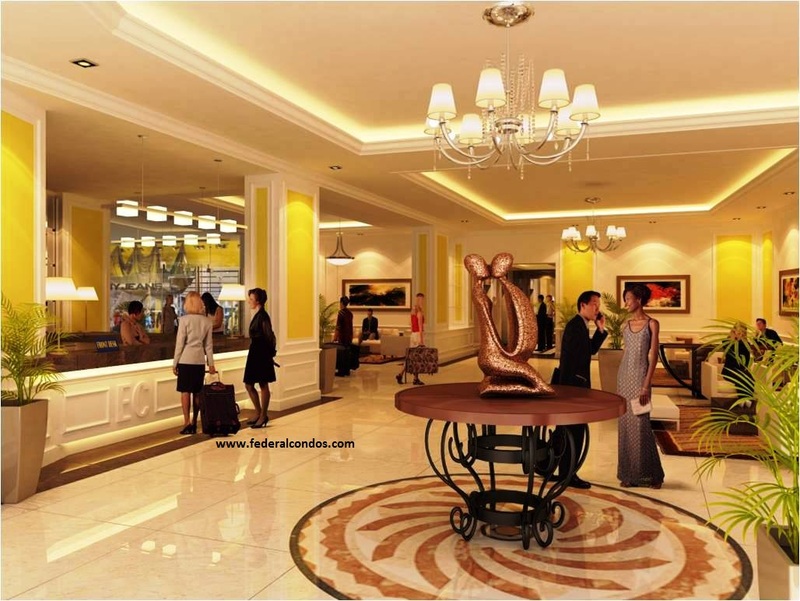 Federal Land Inc. has developed various projects including master-planned condominium communities, office buildings, an event venue, retail and entertainment centers and a hotel. Federal Land was awarded the prestigious Developer of Year in 2007 by the Chamber of Real Estate Builders Associations (CREBA). Come home to elegance, right by the Grand Hyatt. Come live at Park West. This entry was posted in Taguig, The Fort Bonifacio Global City and tagged Federal Land Condos, For Bonifacio Condominium, Global City Condo, Global CIty Condominium, Grand Hyatt, Park West, Philippine Condominium, Philippine Real Estate, The Fort Condominium. Bookmark the permalink.